Posted on 10/04/2017 by Mickey McCarter	in Live Review and tagged neo-psychedelia, new wave, post-punk, Psychedelic Furs, Richard Butler, The Birchmere. The Psychedelic Furs released their last album, World Outside, in 1991. They took a break for about 10 years shortly after, but the band have become a worldwide touring phenomenon since reuniting in 2000. 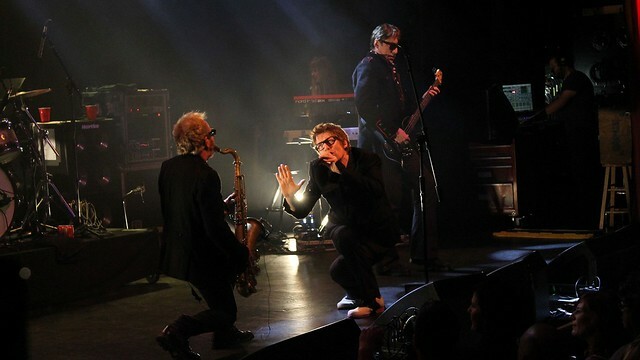 No strangers to DC, The Psychedelic Furs return tonight, Wednesday, Oct. 4, to The Birchmere in Alexandria, Virginia. Brothers Richard Butler (vocals) and Tim Butler (bass guitar) recently brought their bandmates together for a tour of singles by The Psychedelic Furs. And what a catalog of singles that is — “Sister Europe,” “Pretty in Pink,” “Love My Way,” “Heaven,” “The Ghost in You,” “Heartbreak Beat,” “All That Money Wants,” and more! Originally from London, The Furs became American superstars after rerecording 1981’s “Pretty in Pink” for the John Hughes movie of the same name five years later. “Led by exquisite lead singer Richard Butler, the band wasted no time jumping right into its jukebox of hit singles which spanned the course of their recorded output, dating back to their essential, self-titled 1980 self-titled debut album. Kicking off with a rousing rendition of ‘Dumb Waiters,’ the lead-off single from their masterful 1981 Talk Talk Talk album, the band sounded sharp and strong. As Butler exuberantly jumped, posed, twisted and turned, his sheer charisma as one of the most engaging front men from the era from which he hails shone through,” they said. Limited tickets are still available! Buy your tickets online or at the door.